For 28 years, Checkpoint Charlie was the most famous crossing point between East and West Berlin. It was site of many tense historical moments between Soviet and American forces, and it remains a symbol of the Cold War to this day. 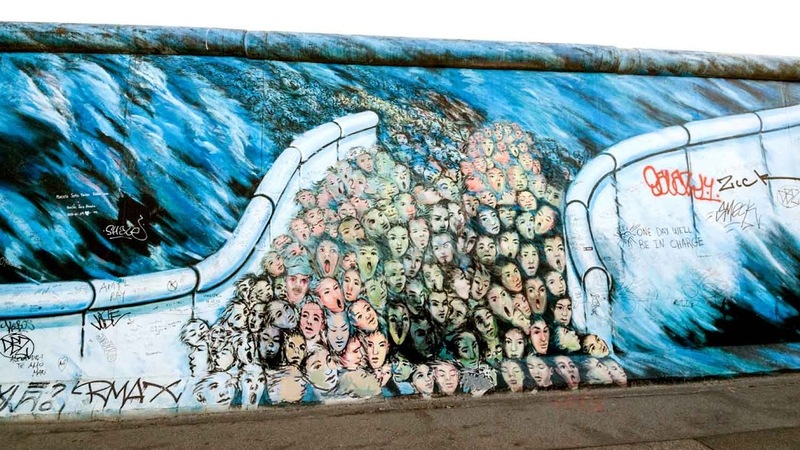 By 1961, 20% of East Germany’s population had immigrated to the West, causing economic loss to the Soviet Union. So, on August 13th, the Wall and its “death strip” was built. 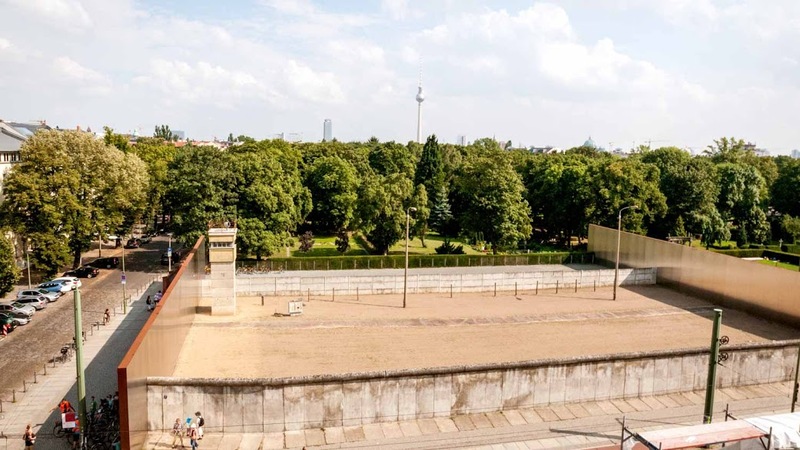 Checkpoint C was the only Berlin crossing point for Allied forces and foreigners. The West built a small wooden house at the location so it wouldn't appear as an official border. Soon after the Wall's construction, the U.S. and Soviet armies had a faceoff, with tanks pointed at one another for six days. It ended peacefully when the Soviets withdrew. 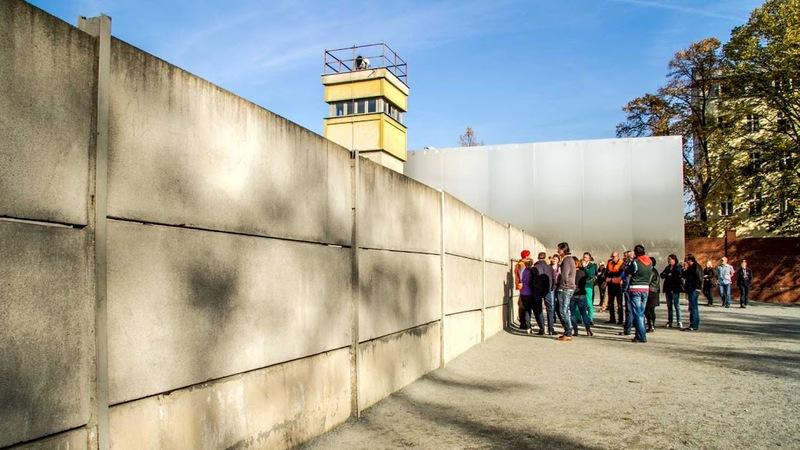 A teenager bled to death near the Checkpoint after being shot by East German guards while trying to escape to the West. Neither side went to his aid out of fear of retribution. The Wall fell on November 9th, 1989. 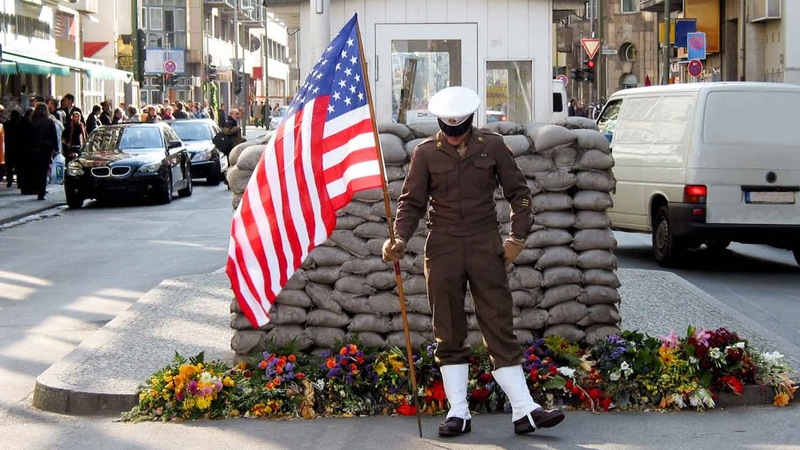 Although reunification didn't occur until a year later, open travel at Checkpoint Charlie began. The guard house was removed in October 1990. It is a massively popular tourist attraction fit with a replica of the iconic wooden shed, actors dressed as American soldiers and wartime souvenirs. 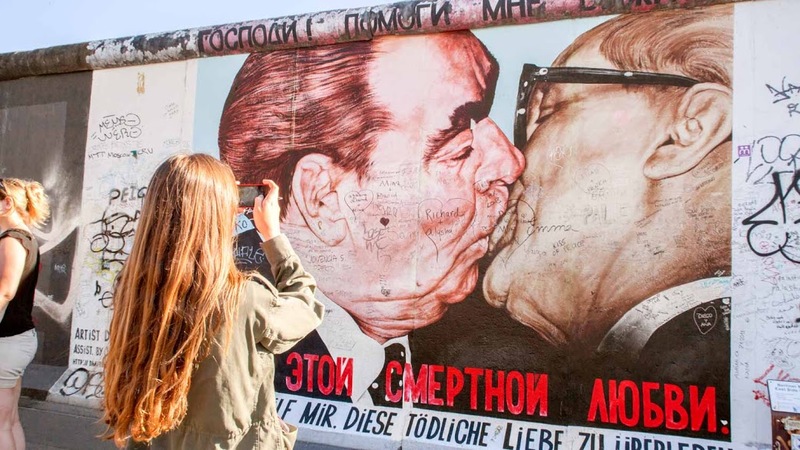 The free open air exhibition is packed with history, and, for a more in-depth overview, the Museum Haus Am Checkpoint Charlie (or Mauer Museum) is open year round, open from 9:00AM to 10:00PM. Checkpoint Charlie is located off the Kochstraße stop on the U6 line. Checkpoint Charlie is located outside and is free to look at. Tickets to the Mauer Museum cost €12.50. A guide isn't required of course, but with so much history discover, it'd be worth it! Bring your passport with you! If you ask nicely, the "border guards" will give you an Allied Forces crossing stamp.